Then: click on Embed this album (or embed this track). You get to see a pop-ip. Select a style and in the following screen you can select some stuff like link colors. Copy the link at the top left. Now go to Obior. 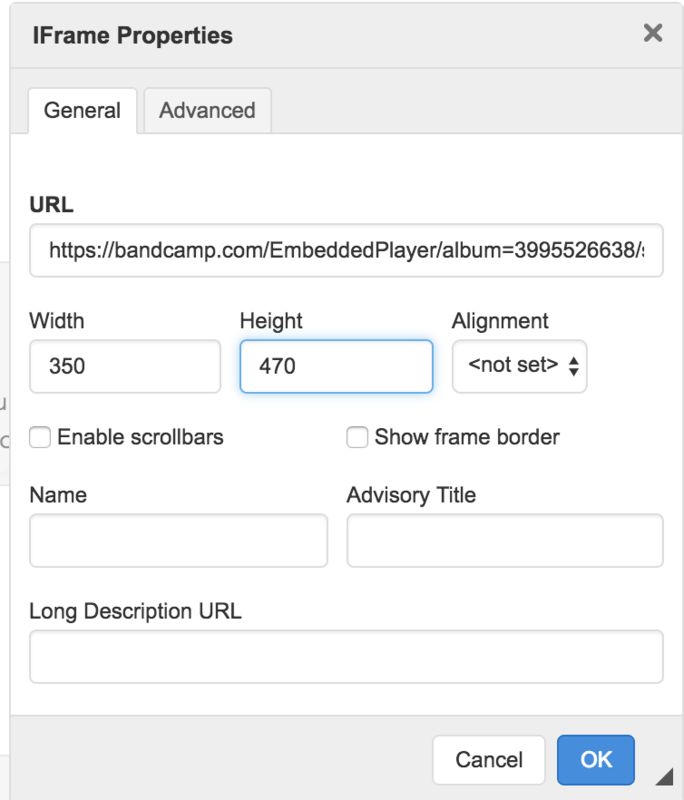 In the example below we explain how to embed this album in a new page, but it's also possible to embed anywhere else where there is a text editor, like news items. Create a new custom Page or Section. Click anywhere in the Text Editor and click on Source. Click OK. You see a little Iframe in the editor. Double Click on it. You need to enter the Width and the Height. 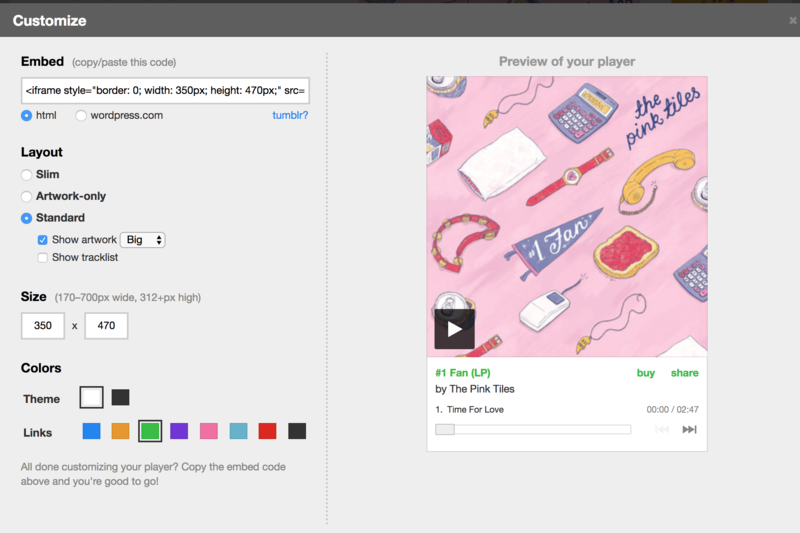 You can use the values that are in the bandcamp pop-up. Click OK and Save. That's it.